Who loves a good giveaway? I know I do! 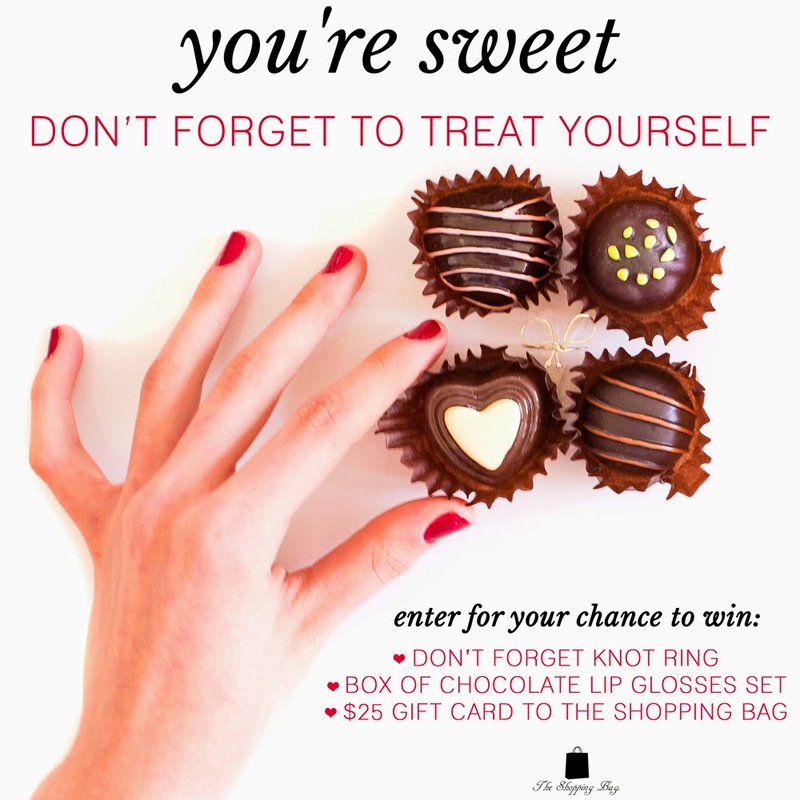 I am teaming up with The Shopping Bag to give you some free goodies for Valentines Day! Here what you can win: Don’t Forget Knot Ring, Box of Chocolate Lip Glosses Set and a $25 gift card to The Shopping Bag. See rafflecopter below for entry, giveaway ends TOMORROW at 11:59pm so HURRY! I love the ily more tank top! I would love to get the Stripe Crochet Knit Sweater! I'd like to receive the Kisses Knit Sweater. When will a winner be announced? Anxiously waiting!